September 2008 my girlfriend of that time announces she’s pregnant. October 2008 David nearly dies in a serious Jet Ski accident in Miami. November 2008 finally work out where the cash has been going, sack administrator for theft. December 2008 buy a house at the top of the market to house new baby and girlfriend. January 2009 driver kills a pedestrian whilst moving one of my cars (yes really). February 2009 builder tells me he needs £50k over budget just to make new house habitable. March 2009 Dave still in hospital, no admin, no driver and £150k worth of used cars around me. April 2009 global recession, son born. May 2009 extraordinarily unfriendly bank tells me my business no longer ‘fits their profile’. June 2009 move into unfinished house, bank overdraft withdrawn. July 2009 refused re-mortgage on unfinished house. Driver gets 4 year prison sentence. August 2009 unable to renew trade insurance due to a multi-million pound public liability pay-out. September 2009 fire sell stock, bar one Mondeo, realise that I’ve lost £200,000 in one year . October 2009 shut down. Decide to study, enrol on a 4 year Psychology degree. November 2009 my girlfriend announces she’s pregnant. December 2009 a rather low key Christmas. January 2010 face my creditors. I don’t blame bad luck for everything, there are decisions that I should have made more quickly than I did. All adverse situations generally bring introspection and I now understand a lot more about myself as a result of my £200k training session. I’m actually not a very good businessman. I have some of the attributes associated with being a good businessman; I’m a great communicator, I understand trade, I’m hard working and can be really focused when I need to be. I gain people’s trust at lightning speed and am conscientious. This last honourable trait however is probably my main weakness in business. With conscientiousness comes empathy for others and a desire to do the right thing. You can get away with this “gentlemanly” approach when things are going swimmingly but empathy is a definite ‘no go’ for a truly successful business person who needs to get tough when the going does likewise. There were few empathetic motor traders in Warren Street. My administrator for example, I still feel guilty for sacking her even though she was stealing from me. Why the hell is that? Even to this day it still upsets me to think of her dismissal; during her time with me she seemed so sincere. Yes you guessed it; I’m a sensitive sort of bloke and tend to assume the best of people. If I went on ‘The Apprentice’ I would get through three or four stages and then Lord Sugar would say ‘Cameron, you’re a good salesman and a nice fellow but you’re too sensitive, you’re fired’ cut to the next scene of me weeping in the cab. When I shut the business down I sold everything that I had including my small selection of classic cars that I always wanted to keep. I shoe horned my girlfriend out of the 2 year old Cherokee Jeep that I’d given her to use, got rid of every direct debit and somehow or other made sure everyone involved was paid off, everyone in fact except my key investors whom have fortunately for me, been very understanding so far. I am in a constant communication with them over what’s happening and yes it does keep me awake at night. The debt is being managed by me and paying it off will be a big part of my life for some time to come. Once it was shut, there were mixed emotions of sadness plus an unexpected feeling of relief followed by a sudden realisation of a bizarre practical issue that I’d never had to consider. My girlfriend and I had no means of personal transport. The last asset in the company was a 2002 Ford Mondeo Automatic that I had taken in part exchange. It was virtually unscathed, one owner, 52,000 miles, had a full main dealer service history and above all had 4 months tax left on the screen. I effectively bought it off what was left of my own company, insured it in my girlfriends name, shut the office doors, got in it, drove it back to my unfinished house went inside sat down and stared at bare plaster walls for a while. So I’m still here, financially poor but in between the continuing low level worry, most days I am oddly quite euphoric. Like a butterfly, my then girlfriend has now turned into my lovely wife. I have two amazing little boys aged 3 and 4 and less than a year away I will be graduating with a Science degree. I am a model father and a model student and have enjoyed every moment of both fatherhood and study. The Mondeo has now covered another completely incident free 22,000 miles and looks and drives exactly the same as it did 4 years ago. I’m fond of it not only because it’s my ‘first car’ or that we as a family have had some great times in it and not because it has sat outside and all I’ve done is have it serviced, replaced some tyres and MOT’d it but because it’s fair to say my wife and that car, represent one of my few reliable constants during a time in my life when I felt that I’d lost control and then lost everything. At least if the thought of that got too much, I knew there was a car outside my house to use if I needed just to go and have a drive, which I do from time to time and it’s never let me down. I am now armed with my own piece of simple advice that I can administer confidently to those that I think may benefit which is; if what you’re doing is not working, stop it and do something else. Sounds obvious huh? It’s not easy to walk away from something that has have been an intrinsic part of your life for so long. Do I miss the motor trade? Parts of it yes but I am going off in an entirely different direction now so I’m able to look back now with fondness. I’ve managed to come to terms with the fact that I went from being in a position for all of my life of not owing anyone anything, to owing a considerable amount of money with no immediate means of paying it off, in a very short space of time. My safety net is the knowledge that I don’t have to take any more of the risks that I took whilst attempting to hang on in there in the latter part of my trading career; it’s all over for the time being. 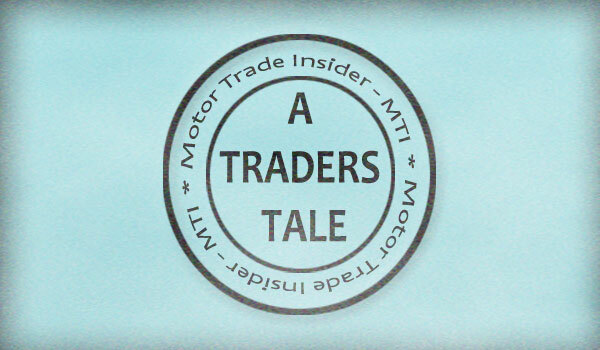 The motor trade will always be part of me. I imagine my wife and I eventually trading up from our terraced house and living somewhere with space around it for a few cars for my boys and me to mess around with, they don’t know yet that their Dad was once a respected lone warrior in the motor trade so it will be fun to pass on that part of my life to them, in other words a bit of buying and selling into my latter years, more as a hobby than anything else. Working on the old adage ‘if you don’t use it, you lose it’ I keep a close association with all of my friends within the trade from over the years and I have recently sold cars on behalf of others which for me, has actually worked quite well. So it’s certainly not all bad news! This story is laced with very few regrets and I still consider myself without doubt one of the lucky ones. All normal people experiences tough times at some point during the journey, life is easy to navigate when things are going well, the real measure is how you approach it times of trouble. The “sales manager” who told you not to do it will never experiance the highs of trading for profit and living the dream life that being an independent trader gave us all just a few years back. He’s still crapping himself about losing his job and putting on his Matalan suite every morning! Very interesting story, As said when the going easy anyone can cope the true challenge is when its tough – what would a lot of peple do in that situation? Good Luck for the future and thanks for sharing the story with us..
A vey honest and extreme account of what can and does happen. Perhaps a cautionary tale to many, however breathtakingly sad but on a positive note if there are still customers out there who believe we all make thousands and want to rip everyone off this will surely educate them just a little, and I’m sure Cameron that there will be many people trying to get the best price for their car and who dont know who to trust who could do alot worse than contact you if you still have the energy! Good luck mate in wherever your career takes you. Well Cameron, after reading that i don’t feel quite so bad, virtually everything you have said is true of my time within this most unreliable of trades, ok, i haven’t had anyone steal of me (if you don’t count the VAT or Revenue system) nor have my drivers killed anyone (that must have been simply awful for all concerned) but life, the recession, my getting older but not necessarily wiser, the changes within the trade itself and the constant unreliability and expense of all the technology, has focused my mind lately, really focused it……. I run a medium used outlet with around forty cars at present, great premises, nice office, no overdraft, no loans, money in the Bank, i call the shots etc, but you know what? I loathe going in to work! What was once an enjoyable job has become fraught with danger on a daily basis, unable to buy from once trusted Main Agents contacts, i, like many others were forced down the route of the auctions, and like many others i consider myself very good at my job, but lately i feel i’m losing my way, even buying decent mileage full history vehicles in superb order is no guarantee any more of a good car, constantly getting our fingers burned with all sorts of weird and wonderful electrical problems that few independent garages can fix, or at least not without hundreds of pounds being thrown at the vehicles in a vain attempt that they find the fault, customers who even when your cars are the cheapest spec for spec on the internet want to offer at least a £1,000 less than you advertise it for, with no concept or belief that you really no longer have the margins you once did………. i won’t go on, I have had enough, It is making me depressed (truly) I always felt that by being honest, upfront, giving great service, and having superb “no nonsense” stock with a great back up that i would continue to prosper, but this years April to April tax accounts with a note from my accountants saying “As you are aware a truly appalling year” and comments from colleagues who no longer work within the trade like “you could earn more at Mc Donald’s” plus your excellent and truthful article have made my mind up, after nearly 30 years It’s time to call it a day………all i need now is the strength to wind down, sell up, walk away, and plan the rest of my life…………….. Even though the final part could be seen as disheartening, I see it more positive than negative, as they say the harder you fall the higher you bounce. I’m 23 and currently have a fulltime job doing something completely unrelated to the motor trade. But partime for the last 2 years I have been selling used cars, either buying and selling , aswell as selling cars for friends family and people that live locally. And I admit I have a passion for it. The reason I thought id leave a comment is not only to say well done to cameron for such a great , honest and unbiased account of his former and present life. But to also ask for advice of my own. I have one major problem im struggling with greatly , and that is motor trade insurance. obviously reason being im 23 so its undoubtedly going to be difficult, but companies literally will not touch me, this is obviously a huge stumbling block, as I want to take it to the next level and not just be selling cars partime, Id like to make it my fulltime Job. Does anyone on here have any advice with what I could do? Also after reading Mark Rs comment , I would be interested to speak to him, or if you could tell me where your forecourt is I could drive up sometime. The bottom line is Im just looking for some solid no nonsense advice and a run down of the pros and cons of trading in the industry . Ive saved a fair amount now so there is nothing stopping me, other than insurance, and some sound advice! If someone could get back to me . it would be greatly appreciated. Also if their is anyone out there in the same boat get at me. Im from kent. And have no problem travelling etc. Or if I knew where your forcourt was etc I could pop down sometime. If anyone else has any tips etc. Please get at me . Would be greatly appreciated . Richard, prey tell which Auctions you frequent that are Fun? Have Recourse? and as for being Less Risky? WHAT???? 1. B.C.A. All sold as seen, and we know what that means………. 2. Manheim Auctions. Manheim assured but only on very small percentage of entries and restricted to major mechanical. James, you are a very brave lad, all the very best to you, if you are going to Retail any volume, in the medium sectors, with some prestige, then very soon you find yourself with: VAT, TAX, REFINISHING, PREP, DELIVERY, ADVERTISING, FUEL, PHONE, REPAIR OR WARRANTY COSTS, A GREAT MECHANIC / DIAGNOSTIC WIZARD, you are in the Honeymoon period, a few cars here and there, working from home, selling a few friends cars for them, fun isn’t it ? believe me, that’s how it starts, but in the real world if you do it all correctly and pay HM Revenue all that you should, not how it ends ! …………………….good luck. I know Your clearly speaking with 30 years experience, and I respect that, theres nothing worse than some young buck who knows F all trying to tell you your wrong! But I still feel that there is room to still make a living from cars. I cant help but think that having a forecourt is a major downfall, as the internet these days plays a huge role. Im fully aware that tax and vat will inevitably have to be paid. Ive already got a very good mechanic, who also runs a MOT station . Literally the only thing still holding me back is of course, Trade insurance due to my age it feels like its impossible to get insured. I do feel you have cast a negative view over car trading as to me there seems to be plenty of traders still thriving, i cant say I’ve met many poor motor traders either. Whereabouts are you based mark? Anyone who has tips on how the hell i could get motor trade insurance please let me know! Mark, very good comments and real world advice to someone like James that is obviously very enthusiastic and ambitious (and young) and is looking for a way forward in what is effectively a minefield of a business. I’ve seen so many heads roll in this industry I’ve stopped counting, and that was mostly in “the good times”. Great guys that go for it and end up losing their homes and everything with it. It’s hard to give James the right advice without completely dampening his outlook, but it has to be said. If I was him I would try and partner with a seasoned trader local to him that he knows and trusts (if there is such a thing) and stay small and focused in a particular market sector that he understands, say small hatchbacks in a popular price range that are less risky and easily sold. Stay small and manageable and don’t get carried away if some success (ie. money) comes rolling in. Use this time to reduce debt, such as overdrafts and capital expenditure on equipment, don’t be tempted into the high roller scenario. And definitely stay in touch with and keep ahead of VAT, taxes and the like as losing touch with these will definitely be the first step to failure. Sorry to continue the doom and gloom theme but you are trying to do this at the worst possible time, I talk to people who have always done extremely well out of this business who are at the moment on their knees. You’re right though there are some poeple who still appear to be doing it with reasonable success but if you look closer they usually have either an established source of outside income or have already made enough money to do as they please! You say your job is not connected to the motor trade, why don’t you go and do a year or so at a main dealer? I had the best times there and I’d recommend it to anyone who has a passion for cars sales. Try and find a reasonably busy one though, its the dullest job in the world if there are no customers! The list that Mark R gives above made me shiver in memory, I can add more, glass’s guide subscription, trade plates costs and inspections, consumer rights, trading standards, distance selling laws, the last three of which are very much loaded in favour of the consumer, all of these considerations are real if you are a legitimate dealer. If you still really want to trade cars I would suggest keeping below radar (particularly the VAT threshold which incase you don’t know works entirely differently to any other business) and just enjoy buying and selling at a low level and keep an eye on the market and for any new concepts, things may be different in the future. I’m really interested to hear how you get on, you should keep this thread updated. It’s been an interesting thread that Cameron opened here, my thoughts are of course just my own, of course people will always need cars in one form or another and i am just as sure there are still some success’s out there, however, my own experience is based on my being in this trade for near on 30 years. Over that time i have seen a shift within the market place in line with the changes in business as a whole, the difference with this trade is the shear numbers of people who have always thought it a way of making a quick buck or simply “giving it a go” that may be out of curiosity, and redundancy cheque, or in Jame’s case a passion. With the advent of the internet, vehicle technology and gadgetry (some good, much of it pointless but costly to repair when it fails, which is often! ) and only a few short years this job had become a minefield to negotiate for the IMT. As Cameron points out, and correctly, the internet has become so full of choice consumers are often baffled by the sheer number of cars to view online , let alone the disparity in pricing, i know lose count of the amount of time i waste on returning e-mail esquires that are more often than not a complete waste of time, phone calls asking every question imaginable, but few that turn up to view, of course the economical situation has focused all our minds, none more so than retailers, and being so close to London may or may not be part of the problem, but after much consideration and lengthy conversations with others experiencing much the same i am fast running out of solutions, footfall is at a trickle almost a standstill and has been for some months, the weather has not helped, nor the Jubilee celebrations, now we have the Olympics to contend with, more so here being just twenty five miles from the complex. Thank goodness i had the foresight to put money away over the good times, and there were “good times” and may be again, but will they ever return as we knew them? i am very doubtful, not just because it will be some time before we emerge from one of the worst economic downturns in decades, but because car retailing, the way people buy vehicles, the sheer volume of choice, and last but not least, the cars themselves have changed the IMT beyond all recognition……………. If i could give James only one bit of advice, it would be what was said to me by a very old successful Motor Dealer over twenty years ago, “In this trade Mark, a fool and their money is easily parted, tread carefully out there” …………..truer now than it ever was? Apologies for some of the spelling / keyboard mistakes, typed fast and furiously before leaving the house……………..
Mark, honestly when it comes to money I’m very shrewd I will not spend if the risk is high. I like to know exactly where my money is going, I know not to bother with larger engined , more expensive cars. Not as a small trader anyway. As I’m fully aware that they are high risk to sell, and chances are you will get stuck with them. That’s actually coming from experience I admit I did learn that the hardway. Buy too many cars in one go like that and you’ve sunk your boat. Always test the water first if you’re not sure. Thanks alot for the advice. Ive taken it all in. Must bear in mind I still have a fulltime job so starting it slowly on a part time basis is easily feasible I think. That’s if I could get insured though! If anyone else has any other trading tips. I.e best (safest) auctions, selling tips, etc. Please let me know I’m all ears! Cameron, I tried Road runners today, they point blank said no, as I have no previous experience in the motortrade, and suggested trying my local broker. I think you are right working in car sales maybe a good idea. But not to sound cocky I have already had a good go at it over the last couple of years under the radar so to speak, I don’t consider myself a completely young buck with absolutely no idea of what I’m doing. Although a years experience seems like the only way I will ever get insured! But it goes without saying; I don’t touch on the experience you and Mark have of course! I must admit teaming up with someone would be the best bet but of course finding someone to trust will be very hard. My Good friend who is a very good mechanic, would be a nice easy option but sadly his drive to earn money goes no further than fixing cars, and his wage at the end of the week. Sadly. Could I ask you mark, as I noticed you’re trading near the Olympic site. I’m currently working on the athlete’s village. Just wondered what your business was called as I might pop in sometime ? I think the main points are that it is tough out there and in no way as much fun as it used to be. But in this economic environment that could be said of nearly any business though. Good luck James, you have a lot of sound advice here ! How are you getting on James, did you find any one who could offer you motor trade insurance? Hey cameron. I sent you a email.